There are about 3 million U.S. workers who suffer injuries or illnesses while on the job every year. If your employees work with machines on a regular basis, you should take every precaution possible to keep them as safe as they can be. 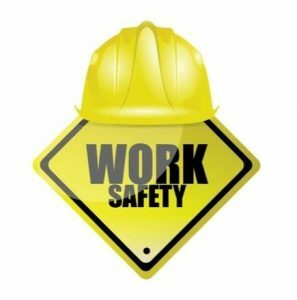 Check out a few safety tips below that will prevent your employees from sustaining injuries while working with machines. Wear safety equipment at all times. You should put together a list of safety equipment your employees need to wear while working around machines. This equipment should include items like hard hats, goggles, and gloves. This will help your employees avoid injuries if one of your machines malfunctions or if one of your workers makes a crucial mistake while operating a machine. Provide employees with the proper training. Do your employees know how to use the machines they’re using daily? They should be trained when they first start their jobs and their training should continue as they move forward in their careers. Forklifts, conveyor belts, and other pieces of machinery might look simple enough to use. But they can cause a lot of damage and injure people when they aren’t used properly. Avoid interfering with a machine when it’s being used. When a machine is being used by one of your employees, your other employees should stand back from it and avoid trying to interfere with its use. If something gets caught in the machine, your employees might be tempted to reach into it to retrieve the item. This could result in a very serious injury. People should avoid touching any machines that are being used and shut them down if they ever notice a potential problem with them.